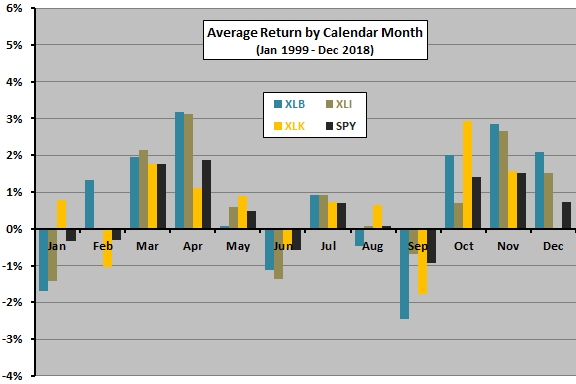 The following chart summarizes average (equally weighted) sector returns and standard deviations of average sector returns by calendar month over the available sample period. Sectors are on average strongest in early spring and late fall and weakest in late winter and summer. Sector activity is most dispersed in January, February, April, September, October and November and most compressed in March, May, July and August. How do average returns break down by sector? 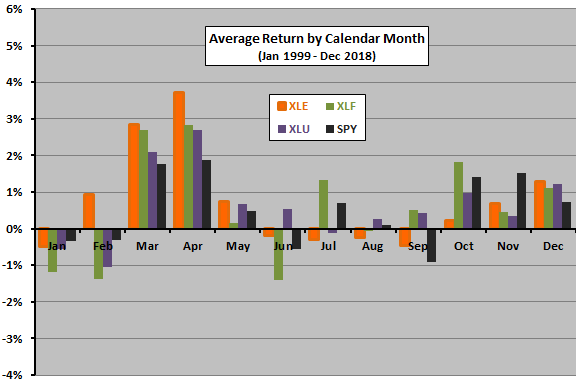 The next three charts summarized average returns by calendar month, in groups of three, for the nine sector ETFs over the available sample period. 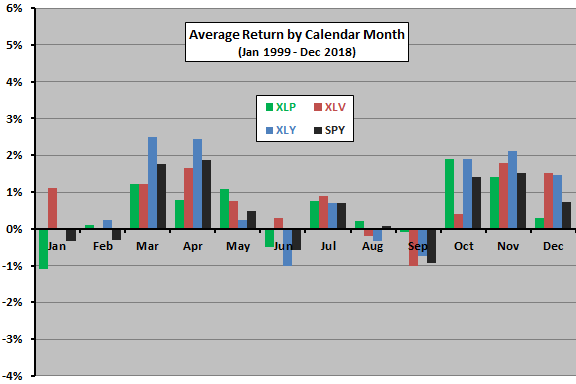 Each chart also shows the average return by month for SPY as a broad market benchmark. The following table lists the two sectors with highest average returns and the two sectors with lowest average returns for each calendar month. In summary, evidence suggests that average returns and return dispersion for U.S. sector ETFs differ somewhat across calendar months. Given the variabilities in annual returns, sample size (20 years) is small for reliable inference. One or two years of additional data could change the winners and losers by month. 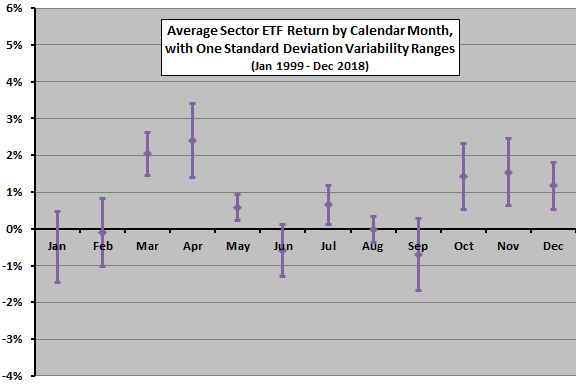 Returns do not account for any trading frictions involved in calendar-based sector rotation.